If you don’t care about I discovered this problem, you can just skip the next 2 paragraphs. I encountered this issue late last year after I bought a custom-built desktop because the hard drive in my desk-bound laptop suddenly began to fail. It all seemed to work fine, until one day I came home from Uni to find that my computer was on. I assumed that someone else in the house had just bumped the button somehow, and hadn’t noticed. But when I asked around, everyone claimed they hadn’t been near my computer. I decided to just dismiss it; it wasn’t a big deal. Then it started to happen a few more times. I started to worry what could be causing it. Maybe “wake on LAN” or a virus?!? I looked through a raft of possibilities, some of which I’ve listed at the bottom of this article just in case they’re the cause you’ve been looking for. However, none of them worked for me. Eventually, I hit on the idea of looking through the first programs installed on my PC, thinking it could be caused by some OEM thing. And I was right. I found Intel Smart Connect Technology and, reading up on it, it sounded like the cause of my troubles, so I disabled it. I thought everything was fixed. But it didn’t stop there. To my horror, a few nights later, just as I’m about to go to sleep, I hear my computer starting up. Turns out the installed software wasn’t the whole story. At this point, I basically gave up. I was totally out of ideas. The other day, though, I was looking though my computer’s BIOS, trying to fix a different problem. I don’t really like the way it provides power to the USBs even when it’s turned off, so I was hunting for a way to disable this, when I stumbled upon a name I recognised: Intel Smart Connect Technology. It was simple to disable, and I haven’t had a uninitiated start-up since. Intel Smart Connect Technology is a piece of software Intel pre-packages with some of their drivers. Its purpose is to wake up your PC periodically, to download updates for your e-mails and any other programs that might be running on your computer that regularly check the internet for information. To do this, apparently it needs BIOS support. On paper, it sounds like a pretty okay idea, especially for a tablet or ultrabook, but it really doesn’t make sense (to me, anyway) on a desktop. It comes in two parts. The first is a service installed on your computer. You can stop it in two ways: by just disabling it, or totally uninstalling it. To disable the software component, search for Intel Smart Connect Technology and open it. There will be two switches; click the one under “Keep Data Fresh” so that it’s in the off position. Then open up the start-up manager of your choice, or if you’re running Win 8/.1 you can just open the task manager. Look for an item named ISCT SysTray, like you can see below, and disable or delete it. To uninstall the software, simply open Add or Remove Programs, found under Control Panel\Programs\Programs and Features. Then select Intel Smart Connect Technology, and follow the prompts to uninstall it. At this point, it is possible that the issue will stop occurring. You should give it a few days to see if your machine still starts up on its own at all. 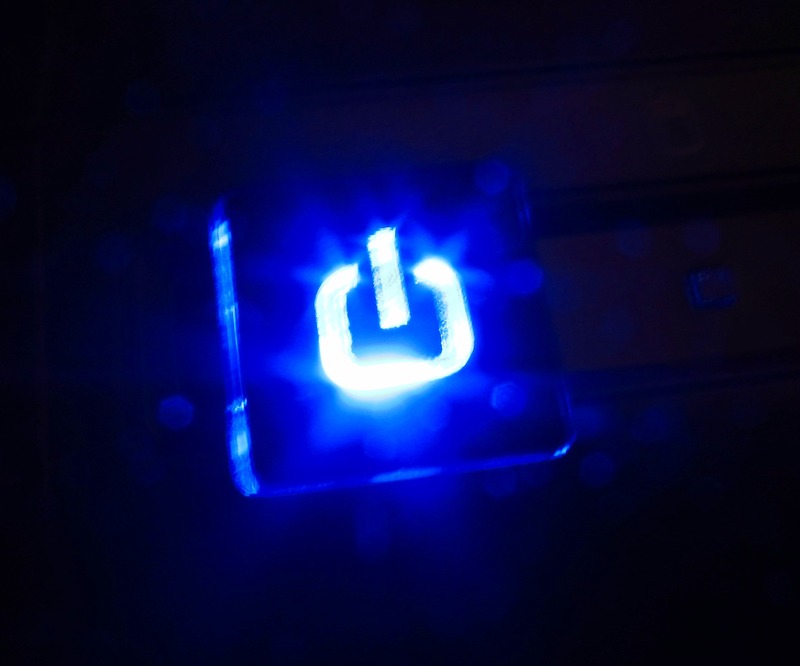 I found that my PC would turn on late at night if I hadn’t booted it up in roughly 24 hours, so if you can, try leaving it off for a day to see if it starts up at some point. If it does, the you may have to disable Intel Smart Connect Technology in your motherboard’s BIOS. The setting you need to disable can usually be found under the “Advanced” tab, and is called, unsurprisingly, Intel Smart Connect Technology. 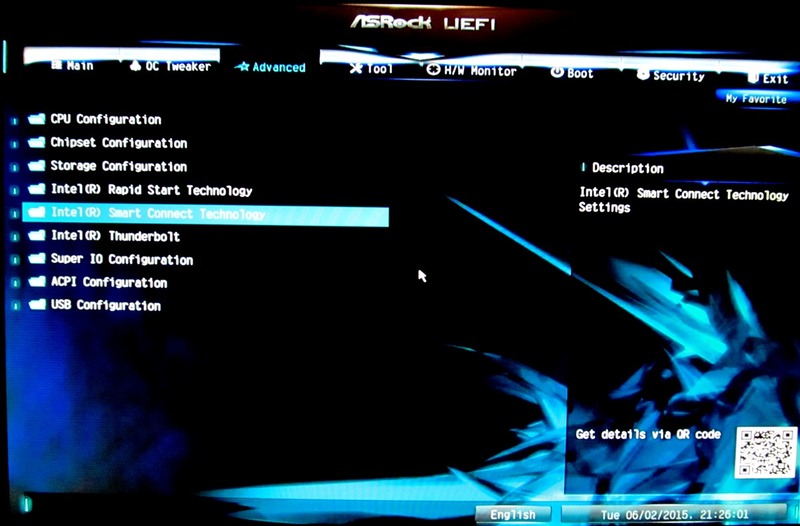 The exact location may vary between BIOS versions and boards, but expect it to be mixed in with a list of other odds-and-ends relating to CPU and chipset settings. Choose it, and set it to disabled. Then save & quit the BIOS. And that’s it! It should all be fixed now. You PC shouldn’t come on without your intervention anymore. However, on the off chance that your problem is not the one I’ve profiled above (or maybe even in addition to that! ), I’ve listed a few other possible causes of PCs randomly switching themselves on that I checked before I stumbled upon my solution. I’ve also linked to some articles on how to fix them. I hope my tale has helped you. If you have any problems, feel free to send me a message, or leave a comment below! !